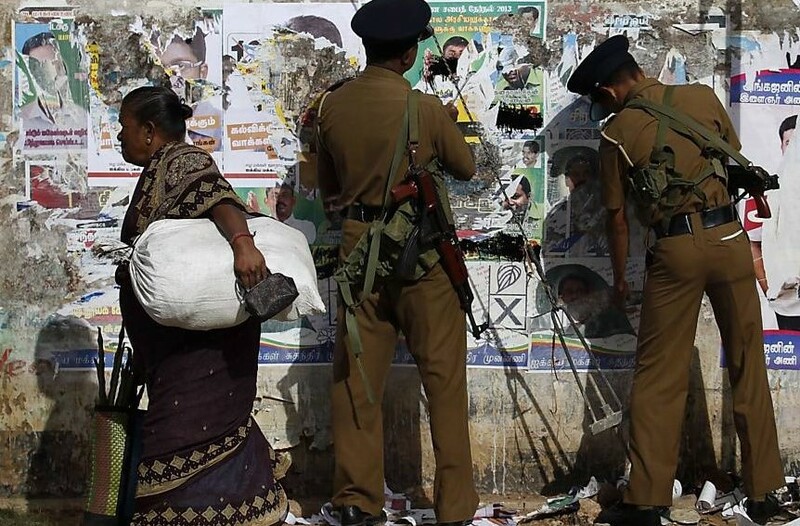 Will Justice for Tamils be Delayed for Denial? Fate of its Resolution passed on October 01, 2015 sponsored and endorsed by USA & Sri Lanka. Sri Lanka’s track record and review as to how far and whether its proposals have been implemented. The credibility of UNHRC and Sri Lanka in their commitments to ensure the full implementation of the proposals in the Resolution. To adopt a comprehensive approach to deal with the past incorporating full range of judicial and non-judicial measures including inter alia ‘individual prosecutions, reparations, truth seeking, institutional reform, vetting of public employees and officials in order to ensure accountability, serve justice, provide remedies to victims, promote healing and reconciliation, establish independent oversight of the security system, restore confidence in the institutions of the state and promote rule of law in accordance with international human rights law. Recognising mechanisms to redress past abuses and violations work best when they are independent, impartial and transparent, and utilising consultative and participatory methods that include the views from all relevant state holders. A credible accountability process for those most responsible for violations and abuses. To comply with a State’s obligation to prosecute those responsible of gross violations of human rights and serious violations of International Humanitarian Law constituting crimes under International Law with a view to ending impunity. Review of high security zones. Commitment to the devolution of political authority. Implement effectively the constructive recommendations made in the report of LLRC. Due to the absence of credible national process of accountability, must explore appropriate forms of international support to and participation in the Sri Lankan process for seeking truth and justice. The commitments to establish a commission for truth, justice, reconciliation and non-recurrence, an Office of Missing Persons and an Office for Reparation and to implement fully and credibly to advance accountability for serious crimes by all sides and help achieve reconciliation. Proposing to establish a judicial mechanism with special counsel to investigate human rights violations and abuses, etc, and affirms that. A credible justice process should include independent, judicial and prosecutorial institutions, and affirming the importance of participation in Sri Lankan judicial mechanism, including the Special Counsels of Commonwealth and other foreign judges, defence lawyers and authorised prosecutors. Encourages the Government to reform its domestic law to ensure it can effectively implement its own commitments and to introduce effective security sector reform as part of its transitional judicial process and ensuring no scope exists for retention in or recruitment into the security forces of anyone credibly implicated through a fair administrative process in serious crimes involving human rights violations including members of security and intelligence unit. To accelerate the return of land to its rightful civilian owners, end military involvement in civilian activities, resumption of livelihood and the restoration of normality to civilian life. To investigate and hold to account the perpetrators of attacks on journalists, human rights defenders, members of religious minority groups and other members of civil society as well as places of worship. Commitment to repeal the draconian Prevention of Terrorism Act and replace it with legislation in line with contemporary international best practices. To criminalize enforced disappearances, and to begin issuing Certificates of Absence to the families of missing as a temporary measure of relief. To release publicly previous Presidental commission Reports. Commitment to a political settlement by taking necessary constitutional measures, and fulfills the commitments on the devolution of political authority which is integral to reconciliation, ensures all provincial councils are able to operate efficiently in accordance with the 13th Amendment. Prohibit violations of human rights, etc, including torture by all branches of security forces and those responsible will be investigated and punished, while addressing all reports of sexual and gender-based violence and torture. Setting up of an Office of Missing Persons which is yet to start functioning. The OMP will however function as an inquisitorial body without any judicial or quasi-judicial powers to extend its jurisdiction to charge and indict anyone who deserves to be tried for the listed criminal offences. Besides, the powers of OMP are also discretionary which would be difficult to challenge in courts for lack of faith, abuse of discretion, or failure to exercise. The Government has also passed a bill aimed at protecting the victims of crime and witness and a Right to Information Act in 2017. The Government has also signed and ratified the International Convention for the Protection of all Persons from Enforced Disappearances in August 2016. Among other matters, this UN Convention commits a State to investigate acts of enforced disappearance and bring those responsible to justice, and ensure that victims of enforced disappearance or those directly affected by it have a right to obtain reparation and compensation. Furthermore the crime of enforced disappearance is defined as a crime against humanity. When one reviews the track record of Sri Lanka regarding the implementation of all the recommendations after a lapse of seventeen months, one can only observe a dismal and depressing performance coupled with a defiance of UNHRC and rejection of its own commitments. The recommended comprehensive approach to dealing with the past incorporating the full range of judicial and non-judicial measures has not materialized so far. Sri Lankan Government initiated a Consultation Task Force on reconciliation mechanism which submitted its report in January 2017. The Government has already rejected some of the recommendations of this commission especially setting up of a hybrid judicial mechanism. In the face of this negative stand, it will be foolhardy to expect the Government to act on any recommendations of any or all of its commissions to seek justice truth or reconciliation. The setting up of Commissions has so far been considered as eyewash to placate the affected, United Nations and International Community. The recommendation to fix accountability to those responsible for human rights violations and crimes against international law – war crimes and crimes against humanity, etc, is almost as good as dead as the President and Prime Minister have openly declared that ‘they would not allow any member of Security Forces to be charged and brought before courts, thus ensuring their protection from any judicial process fixing culpability. There is no progress in the review of high security zone and still 4,300 acres of private lands are in the possession and control of security forces in the North as admitted by the Jaffna Army Commander who also reiterated that there will not be any reduction in the numbers of armed forces in the North. This confirms the permanent residence and stay of army living among civilians. UNHRC’S statement of welcoming “the Government’s commitment to the devolution of political authority” is yet to materialize and is still an unborn foetus without movement as the Government is battling to reach a consensus in this matter as to how far and to what extent devolution of powers can be effected. However, the emerging clear position of the Government is centering around to devolve some additional powers to the Provincial Councils within the 13th Amendment without any merger of the North and East, while maintaining the center’s concurrent list and its whip hand over the Provincial Councils making them function with hands and legs tied. The UNHRC’S recommendations to implement effectively the LLRC’S constructive recommendations is no more an issue as most of the recommendations are lying as frozen matters since published in 2012. Similarly, the reports and recommendations requested in Human Rights resolution 25/1, the report of the Office of the High Commissioner for Human Rights at the 27th session, which aims at truth seeking, justice, reparations and guarantees of non-recurrence, are also awaiting implementation. The other recommendation requesting Sri Lanka to explore appropriate forms of international support to and participation in Sri Lankan processes for seeking truth and justice is yet another one awaiting initiation and may not see the light in the foreseeable future. The most important reconciliation deals with the Government’s proposal to establish a judicial mechanism, with a Special counsel, including independent judicial and prosecutorial institutions led by individuals known for integrity and impartiality, including the Special Counsel’s Office of Commonwealth and other authorized prosecutors and investigators. As far as this proposal is concerned, the Government has totally rejected it wholesale and outright and also has failed so far to move an inch forward in this matter, even setting up its own judicial mechanism. Due to this inaction, the whole question of accountability, justice and reconciliation is left in limbo and will unlikely be implemented to uphold these concepts proving its credibility, while belittling their importance and values for humans. The recommendation requesting Sri Lanka reform its domestic law to ensure that it can effectively implement its own commitments including all recommendations of OHCHR. 25/1 and LLRC, is yet to see the light and no move in this direction has so far been initiated by the Government and there is every possibility that it could be shelved, to protect the security forces and ensure their impunity, as promised by the Government. The recommendations to introduce security sector reforms as part of its transitional justice process is yet another one which could be shelved as well to avoid possible discontent among the security forces as well as disruption of the present structure and chain of the security forces and intelligence units, the underlying reason being projection of the security forces from any judicial process for alleged crimes committed during the war, as exposed in the independent reports of several UNHRC and UN Emissaries. The recommendation to hold perpetrators of attacks including killings of journalists, activists and attackers on religious sites, minority religious groups is another proposal which remains untouched and while some initiatives have been taken to prosecute those involved in the killings of Journalists like Sunday Leader Editor Lasantha Wickrematunge, Tamil Parliamentarian and human rights activist Raviraj including disappearance of Journalist [for exposing the usage of chemical weapons by the military during the last stages of war in 2009]. The process and progress of these cases is moving at a snail’s pace. The prospect of initiating investigations into the killings of about seventeen journalists so far from 1993, along with other activists and those involved in attacks on Churches, Mosques and Temples and killing of Muslims is almost dim and appears to be swept under the carpet forever. Despite the recommendation of UNHRC to address the issues, the practice of torture and other abuses of human rights is still continuing as confirmed recently by UN independent reports. With the efforts to fulfill the commitments on the devolution of political authority remaining stalled, uncertain and unclear, the recommendations to ensure an effective functioning of all Provincial Councils complying with all the provisions in the 13th Amendment is also struggling between life and death, the indications pointing to its non-fulfilment due to political compulsions, interests, fear of backlash from opposing chauvinists and hard line Buddhist monks. The recommendation prohibiting Security Forces from human rights violations including humanitarian law and to investigate and punish those responsible is another which will remain only in paper as a recommendation, as past experiences confirm the Government’s reluctance to not to embark on full scale prosecutions of Security Forces for crimes allegedly committed by them unless forced by public and media outcry including Human Rights Organizations worldwide. 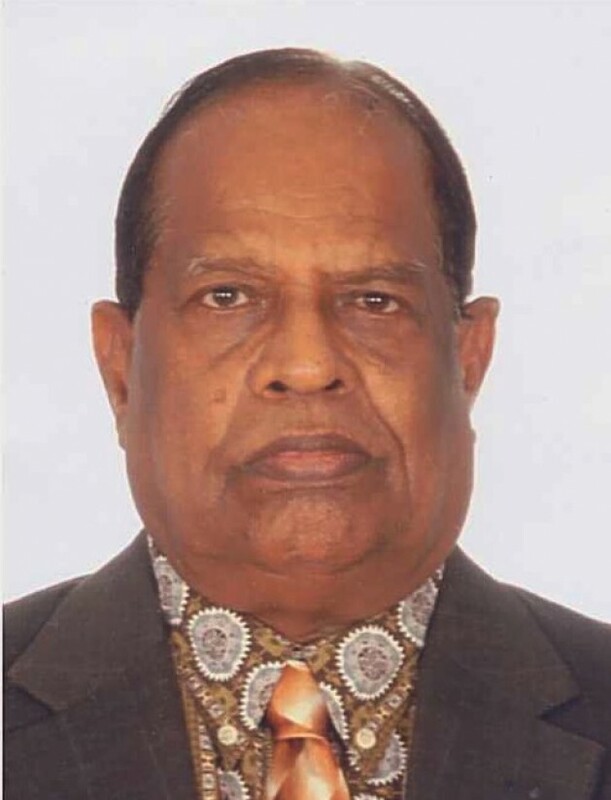 In the face of the non-compliance of all the above core recommendations in the Resolution, any delay to take the Sri Lankan Government to task will only confirm the Government’s policy of defying and encouraging non-observance including rejection of its own appointed Commissions’ recommendations. It therefore lies on the UNHRC the right and duty to uphold its stature, objectives and duties and vindicate its name and reputation by exposing the real scenario in relation to Sri Lanka’s defiant and disrespectful conduct in relation to the compliance of this resolution, and not choosing to travel along with Sri Lanka’s policy of promises and deceptive tactics to make the Resolution stale and to be later kept in limbo. Sopping and token measures like ‘singing national anthem in Tamil’, endorsing Tamil National Alliance leader R. Sampanthan as Leader of the Opposition are measures which arose from constitutional necessity while the November 27th commemoration was allowed to placate the UNHRC and grieving Tamils as a belated opportune measure. In the absence of any convincing and comprehensive honest progress and performances by Sri Lanka so far to confirm its commitments in the Resolution, even after the lapse of seventeen months, it will be defying logic and serve no purpose to grant any more additional extension of time to Sri Lanka to fulfill its commitments. If UNHRC agrees to any further extension, the whole question of credibility of the UNHRC will be at stake with its human rights provisions degraded and desecrated, while making UNHRC function as a ‘Talking shop’ without carrying out the objectives and principles entrusted on it, while making accountability, justice and reconciliation as mere slogans leading to licensing the nations guilty of human rights violations to go scot free with impunity, and free from its radar. As a result, UNHRC could become an accessory to sow the seeds and breed extremism even terrorism springing from the victims’ families and youths affected by the criminal acts of a member nation. It is hoped UNHRC will do justice to the Reports of various UN and UNHRC Special Rapporteurs and Special Commissioners who visited Sri Lanka and confirmed the ground situation by detailing the various human rights violations committed on civilians. It is the hope of all people and victims of human rights violations, that UNHRC will live up to discharge its functions in the interest of the affected and bring to book the offenders, buttressing its credibility and protective role. If UNHRC opts to agree to another extension of time, without doubt, this lapse of responsibility will only sound the death knell for human rights and extending impunity for States that violate human rights. Equally, The Tamil National Alliance carries the burden and responsibility to fight for justice to the Tamils and not to succumb to the charming deceptive diplomacy of Sri Lanka, besides refraining from committing a historical blunder for the Tamils as a whole. If USA as a co-sponsor of the Resolution also shirks its commitments and responsibility to ensure the implementation of this Resolution, it will stand to lose its status and power as the world’s most prominent Nation to fight for and uphold human rights all over the world. It is therefore important for UNHRC and USA not to abandon this resolution and if they do so, it will result in the encouragement of human rights violations by countries with impunity and free from accountability while casting doubts on the reliability and credibility of their role in the International Community. When accountability is shielded, justice dies – making reconciliation meaningless.